Political and economic interactions have become a cross-cultural norm, in a growingly interconnected and interdependent world, opening the floodgates to exploitation and corruption. As consumers we play a critical role in this process as we purchase products that contribute to this devastating reality. The true effects of economic globalisation and exploitation protrude beneath the exterior and have destructive and dehumanising effects. Anna Sutanto, an Indonesian waste manager, reflects on how the ‘bank sampah’ (waste bank) initiatives in Indonesia, have been “technically successfully”, yet a “challenge in finding a market for compost production and products made of waste.” The waste bank works in a way that it separates waste into two fields, organic and inorganic. Organic waste gets turned into compost and inorganic waste is separated to a further three categories, plastic, metal and glass which are weighed and given a monetary value, based on rates set by waste collectors (Salim, 2013). 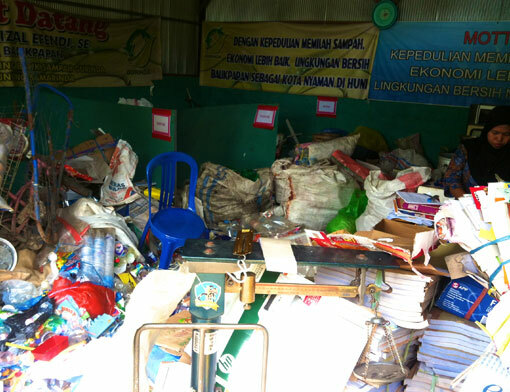 In Gunung Samarinda a waste bank collects over 2-3 tons of non-organic solid waste each month, with each household managing to save about 50,000 rupiah a month (Salim, 2013). “Whilst successful, this does little to encourage behaviour change amongst consumers,” reflects Sutanto, creating a cyclical effect of globalised consumption and waste. Traditionally Indonesian culture was focused on a localised production and hence sustainable philosophy, now the “import culture and products are overwhelming to the waste issue that Indonesia faces” (2015, pers. comm., A. Sutanto). Waste management is not only a personal but collective responsibility, an issue facing countries worldwide as global consumer consumption behaviours increase. Cultural behaviour towards waste and its management has been inundated since the increase of globalisation. Within these cross cultural relationships, in relation to waste disposal and management, sources of conflict are often difficult to identify due to unconscious attitudes, beliefs and norms (Bird 2005). Conflict arises in the struggle between corporate and consumer, urban and regional, and government and people. Identifying the need for initiatives to combat these events is the responsibility of not only a select few but collective identity of a global society. ‘Waste Deep’ is a short documentary produced by Australian company Sustainable Table, an innovative not-for-profit organisation that empowers people to use their shopping dollar to vote for a food system that is fair, humane, healthy and good for the environment (SustainTable 2014). Waste Deep explores the effects of plastic packaging from food consumption, proposing methods of reduction and alternative consumption habits to educate consumers. It is the entire culture surrounding waste management and consumption extending beyond a localised context, to a globalised and detrimental effect, that filters down to countries such as Indonesia as they adopt a more westernised diet (Permani, 2006) and struggle to cope with the issue of waste as a result at hand. Within a modern global era, sustainable, localised and ethical design practise marks a progressive attitude against the homogenisation and destruction of culture in society, in an ideology acknowledge as ‘deglobalisation’ (Rhyzom). ‘Deglobalisation’ addresses the rejection of mass consumption and consumer attitude towards throw away goods through constructing an alternative to large scale design (Dunn, 2014) with boundaries placed on materials used and production methods to a localised context. 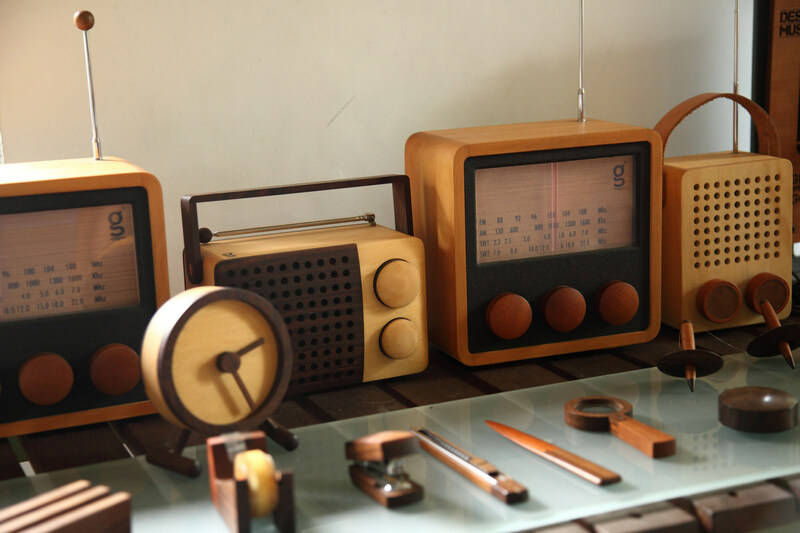 Indonesian product designer Singgih Kartono, creator of the award winning Magno wooden radio (Dunn, 2014), addresses this notion of redefining the role of culture within society and design, through using local produce and workers to construct the small range of sustainable products, redefining the boundaries of design to one’s own societal milieu. There is a commonality of materials used within each product yet a distinct difference between each as they are hand carved and produced by local artisans and designers. This ethos towards design challenges the critical condition of culture within contemporary society and how as designers responsibility to an interconnected global context resonates strongly within a local nature. Culture plays a pivotal role in defining one’s role within society, yet society is currently redefining the role of culture. Shared cultural practises amongst societies reiterate either the principal of conscious consumption, or in the cases of many Western countries a lack of material appreciation within our finite planet. As modern institutions enable global and industrial capitalism, it has brought about a planetary climate disaster and expensive social inequality (Milun, 2015). It is these shared spaces in which we communicate a public self, be it through participation or rejection of these institutions. In a globally connected urban life of today, the Javanese village Kandangan, where Kartono resides, collectively reconnects from a globalised context, structuring a localised culture around sustainable and ethical design ethos. The social milieu constructs a set of ideologies of its residents, with inter and cross disciplinary collaboration shifting the overall focus to a ‘holistic multidisciplinary design practise’ (Dunn, 2014), enriching the the overall quality of aesthetic, product and function. Through this localised design practise and ethos a sense of community and commonality is established across a new environmentally focused culture. Design within this arena hence shapes the culture that is created in response to a global challenge and vice versa. The two coexist mutually with societal pressures from both a local and global context influencing the responsive nature of the design. Fx Harsono is a contemporary Chinese-Indonesian artist whose recent works explore the themes of identity, self and history. “Pilgrimage to History,” is an evocative performance piece currently exhibited as a collective exhibition at 4A gallery, Chinatown as part of “Tell Me My Truth.” “Tell Me My Truth,” gives form to alternative narratives and histories mediated through technology, fiction, documentary, remembrance, and surveillance to explore what it means to be an individual within a group (Smith, 2015). Harsono’s work explores the politically charged era of Indonesia, through what Harsono describes as a pilgrimage/performance to remember and create the history of the massacred Chinese-Indonesians on Jawa island between 1946-1948 (Harsono, 2015). 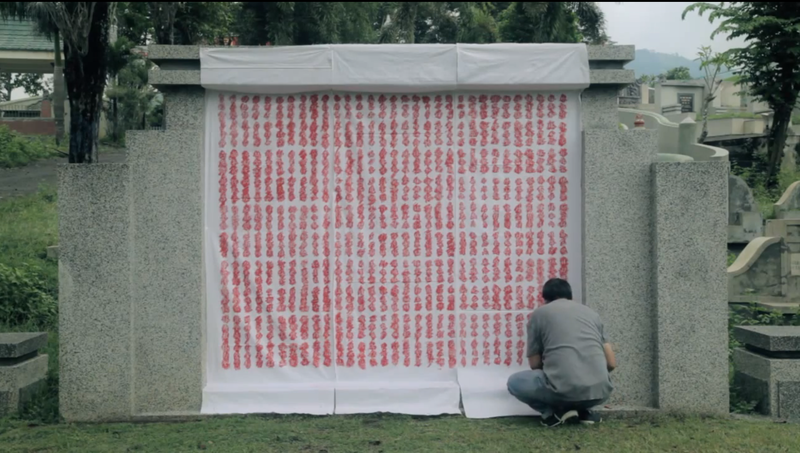 Harsono places textiles on the mass gravestones, which are then rubbed with red pastel over the names of the individuals buried within the mass graves. The film is eerily silent yet loud, as the rubbing of the pastel over each name creates a deafening sound within the exhibition space. The history of these massacres is poorly documented within Indonesian history, Harsono through personal research since 2008 aims to highlight to a broader Indonesian society that the massacres are “part of our history” (Harsono, 2015). This notion of constructed history explores how one subjectively interprets participation and experience within memory and how through a mediated documentation one can shape and alter historical and political perspectives. The truth behind identity is mediated through a plethora of tools such as videography, photography and film that we hold true to their representation, yet often they create a material memory that is malleable. Memory, and as an extension of this identity, exist within a messy process of remix, a process exclaimed by Crosby as a negotiation of identity within the tensions of local cultural production, national mythologies and global environment initiatives in relation to environmental activists from Central Java and Blora (Crosby, 2013). This ‘remix’ of identity is altered throughout the politically altering landscape of Indonesia, evident within Harsono’s work as artists and activists challenge the notion of multiple collective identities, generating new visual languages with the possibility for a diverse range of voices to propose ideal relationships in relation to society and nature (Crosby, 2013). Similar to this remix amongst environmental activists of Central Java and Blora, Harsono constructs through selective performance how an amalgamation of identity challenges the perception and interpretation of what it is to explore one’s individuality within the duality of political and cultural landscapes. Worn Wear is a not for profit project established and funded by clothing brand Patagonia in 2013 that aims to educate consumers on ways to mend damaged clothing items rather then replacing them, reducing the significant amount of landfill waste caused by clothing goods yearly. The project is an extension of Patagonia’s originally mission Common Thread Initiative, that promotes consumers to reduce, repair, recycle, reuse and reimagine their clothing products, constructing a more holistic approach to waste reduction an consumer attitudes to disposal. By simply keeping our clothing for 9 extra months we can reduce carbon, waste and water footprints by 20-30% each (WRAP, 2015) a much needed reduction to the environmental impact caused by the fashion industry considering Australians send $500 million of clothing and textiles to landfill every year, an average of 30kg per person (TFIA, 2015). Consumer culture currently sits within a fast fashion trend, garments are purchased regularly and unnecessarily, creating waste through disposed landfill, production and manufacturing waste. Originally techniques such as replacing worn collars, cuffs, patching trousers, unravelling old knits for yarn and darning bed sheets were widely used (Fletcher, 2008). within society. However within a two generations these skills and techniques have been lost due to the financial and time incentives that purchasing a new product offers. Patagonia’s Worn Wear aims to reeducate consumers on the importance of garment appreciation and value, translating through to an interdisciplinary approach to waste management through consumer behaviour. Through the Common Threads Initiative Patagonia launched a campaign in November 2011 reading ‘Don’t buy this jacket.’ The initiative ran in the New York Times on Black Friday weekend, when retailers traditionally launch their Christmas shopping holiday advertisements. Patagonia’s spread is in line with their mission statement, “there is nothing we can change about how we make clothing that would have more positive environmental impact than simply making less,” Patagonia CEO Rose Marcario (Simpson, 2015). This consumer understanding sits within the Dunne and Raby’s response to design activism in that “design is assumed to only make things nice, it’s as though all designers have taken an unspoken Hippocratic oath, this limits and prevents us from fully engaging with and designing for the complexities of human nature which of course is not always nice” (2001). Patagonia challenges this notion of a ‘fashion retailer’ through this campaign, aimed at educating consumers of the detrimental effects of every garment produced on the environment.